The 101 Cafe began its life as a small 20-seat diner in 1928, opened by the Ekegren family. It was just the small dining room where the counters are now. The Cafe was named for the old highway which it fronted Highway 101. The Greyhound bus stopped right in front until the 1940's when a bus station was located downtown. 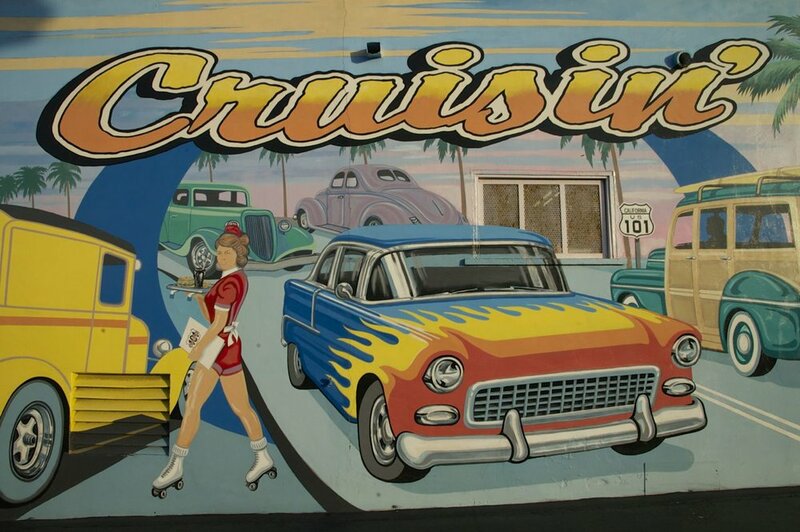 The diner enjoyed the traffic generated by Highway 101, which was the main access from Los Angeles to San Diego until 1953 when Highway 101 was relocated to the present location of Interstate 5. This changed the nature of the business.